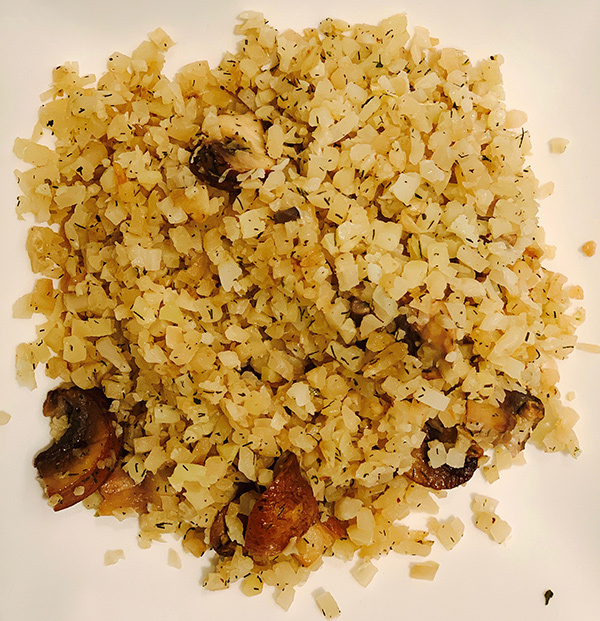 In this version, I used Trader Joe’s frozen riced cauliflower, which I kept on hand for quick week day meal prep. Add extra virgin olive oil once pan is hot. Heat oil for one minute. Cover and increase heat to low-medium. Add dill weed at the end. This will result in an “al dente” consistency. If you prefer it cooked softer, you can cook covered for additional 5 minutes.